Cracking and cavities can ruin the health of your teeth, up to the point of being lost entirely. In order to make sure that your smile is as healthy as possible, Dr. John Dano uses nonmetallic caps to rebuild decaying or injured teeth. Bull Valley Dentistry provides cosmetic dental crowns in McHenry, Lakemoor, Johnsburg, and Woodstock. Schedule an appointment today for beautiful restorative care. Traditionally, a crown is made of either a silver-colored metal alloy or gold; however, many patients do not want metal in their mouths. The coloration of these crowns can have a negative impact on how the teeth look. For many, the quality of a smile’s appearance is directly tied to their self-confidence, so any dental treatment that improves their health at the expense of their personal image is only used when other options are not available. As providers of cosmetic dentistry in McHenry, our practice provides crowns that are not at all metallic. These crowns are made completely of dental porcelain, a material that combines reliability with a color, translucence, and physical texture that is an almost perfect match to those of naturally healthy teeth. 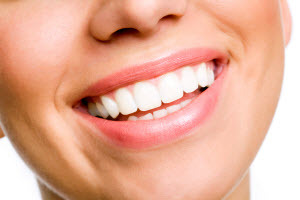 For most patients, a metal-free porcelain crown is a long-term restorative solution that blends into their smile, if it does not enhance its overall appearance. The first step Dr. Dano takes in providing a patient with crowns is to thoroughly examine the smile and make sure they are being made to fit their needs. The preplanned design is then sent to a dental laboratory for fabrication; the patient wears protective temporary crowns until the permanent restorations are ready. After about two weeks, the crowns are returned to Bull Valley Dentistry and Dr. Dano adds them to the patient’s smile. In order to best ensure the quality of the porcelain restorations we provide, Bull Valley Dentistry partners with local labs staffed by graduates of the Las Vegas Institute, a postgraduate dental learning institution. The Las Vegas Institute is renowned for its high-quality educational courses on cosmetic and restorative dentistry, so the dental lab technicians who graduate from there are better equipped to create a beautiful and functional dental crown. Working with these labs means we can give you a higher quality of care when providing metal-free crowns. Bull Valley Dentistry offers cosmetic crowns near McHenry and all surrounding communities. Our cosmetic dental services allow us to improve both the image and the health of your smile. For more information about metal-free restoration options, call our practice and schedule an appointment today!